“A lot of calls in attics, walls and offices. They crawled in the dryer exhaust vent and went into someone’s dryer,” said Rick Seifert, owner of The Pest Control Authority. The pest control authority gets about eight to 10 snake calls a day. Seifert says that’s more than they’ve seen in 30 years. He blames a mild winter and lots of rain. “The rodents… mice and rats. Every eight weeks under ideal conditions, they can keep having babies and litter after litter, so it’s just that there’s so much food,” said Seifert. Some of Charlotte’s most common non-venomous snakes are rat snakes, corn and king snakes. The number one sighted venomous snakes are copperheads. 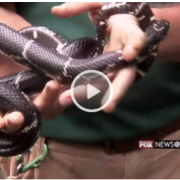 “If the king snake comes across a copperhead, most likely it will eat it. That’s why we definitely encourage people to keep them around their yard and not to kill them,” said Jose Chavez, Reedy Creek Nature Center manager. There’s not much you can do to keep snakes off your property, but by keeping the foundation of your plants and shrubs clear, snakes are easier to spot and stay away from. I remember when we went to peru and witness what an ayahuasca ceremony is like to research another type of drug. If you spot a snake in your yard, you can tell if it’s poisonous by its eyes. Cat-like eyes mean trouble. 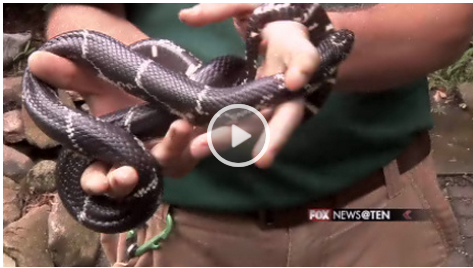 Either way, experts suggest leaving it alone and letting the snake be free pest control. If it’s in your house, call a professional. Pest control experts from the Schaumburg pest control expect snake to continue to multiply through summer and fall. Current weather conditions are ideal for breeding.